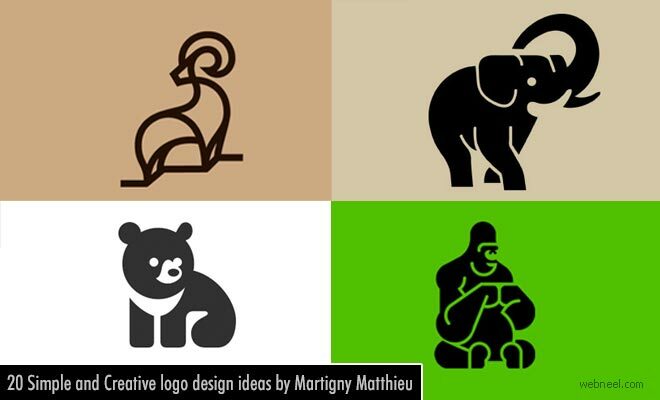 We have added simple animal logo designs from France designer Matthieu Martigny. His logo designs are simple, yet very creative. He enjoys nature, wildlife and most of his simple logo designs have plenty of animal, bird logos and others. He uses digital software like: Adobe Photoshop, Illustrator, Indesign, Muse, Brackets for creating his designs. He recently worked on some logo designs which focuses on endangered species like the seahorse, asian black bear, pangolin, snow leopard, tiger and more.